Disney says there is a “possibility” that it will revive the Marvel series that Netflix cancelled earlier this year. In October, the streaming giant axed both Iron Fist and Luke Cage, while Daredevil was cancelled in late November. However, a new interview with Kevin Mayer, Disney chairman of Walt Disney direct-to-consumer and international, suggests that these shows could return in the future. Mayer, who was a key player in closing the deal to acquire most of 21st Century Fox’s assets, is now heading up the Disney+ streaming service endeavours. Mayer didn’t elaborate, but given the presumed family-friendly branding of the streaming service, it seems unlikely that the Netflix shows would return in their current gritty, violent form. Further, a recent report from Variety indicates that Marvel and Netflix’s massive 2013 agreement prevents the characters from these shows from appearing in any non-Netflix film or series for at least two years. Jessica Jones is the only one of the four ‘Defenders’ line-up of interconnected shows that hasn’t yet been cancelled, although the writing is surely on the wall for the series once its third season premieres in 2019. 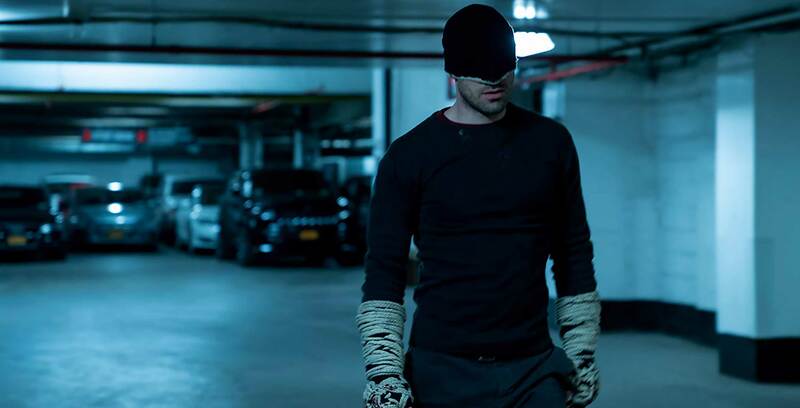 As Variety notes, though, The Punisher — a spin-off of Daredevil that premiered in November 2017 — was not part of the original deal. As a result, it remains to be seen what ends up happening with the series after its second season debuts in January. Reports suggest that Marvel wanted these series to continue on Netflix, with the streaming giant ultimately making the decision to end them instead. Netflix hasn’t given any reasons for the cancelations, although it likely has to do with the fact that Disney is pulling its content from the service to put on Disney+. This includes films and TV series under the Disney/Pixar, Marvel Studios and Lucasfilm divisions. Disney+ is also already set to include its own Marvel content, including March’s Captain Marvel and all subsequent Marvel Studios films and an original series starring Tom Hiddleston’s Loki. Reports also indicate that Marvel is developing one series featuring Scarlet Witch (Elizabeth Olsen) and Vision (Paul Bettany) and another starring the Winter Soldier (Sebastian Stan) and the Falcon (Anthony Mackie). The biggest question, though, is when Disney+ will come to Canada. Currently, Disney has only confirmed a late 2019 launch window for the United States. Mayer noted, however, that Disney “would like to have an international trilogy of services,” which would be made up of Disney+, Disney’s ESPN+ sports streaming service and Hulu. As part of the Fox deal, Disney will soon possess a 60 percent stake in Hulu, which Mayer says the company hopes to use to roll out the service to more international markets. Currently, Hulu only operates in the United States and Japan. ESPN, meanwhile, is available in Canada as a specialty CTV channel called ESPN Classic.